Such an unique combination of shade right? I love it! The blue/ purple shade #promiscuous is just amazing!!! I love #lovesick as well, the red burgundy color. A little treat from black friday, it was at 30% off! One of my most coveted brand this year. I picked up #meltlovesick stack because the shade selection is more daring and fun. I will probably add the #meltdarkmatter stack very soon even if I already similar shades in my collection! #motd. You know that I like my neutrals with a little twist! Have a great weekend! Here in Vancouver, the weather is terrible since September. I can't live without the sun!!! @urbandecaycosmetics #udxgwen palette. @narsissist all day luminous foundation. @anastasiabeverlyhills @norvina #abhilluminator in Peach nectar and starlight. #anastasiabeverlyhills #Norvina dipbrow pomade. @bobbibrown pot rouge in blush rose. @ofracosmetics in Americano. I love a nice olive green eyeshadow look sometimes. This one is super metallic and pretty! Easy to wear because it is almost an antique brass shade. Swatches are coming! It's #Hammered by @colourpopcosmetics . 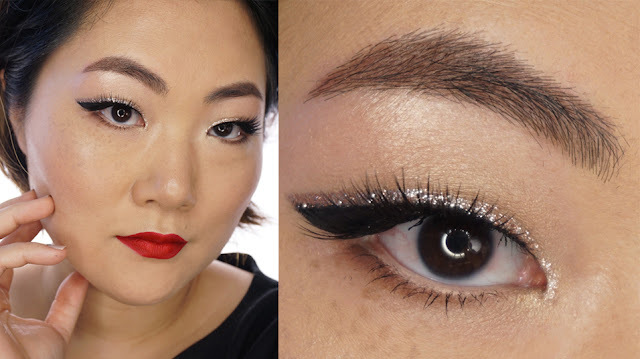 Here is my first look for the holidays but this glittery look can be a party look as well! 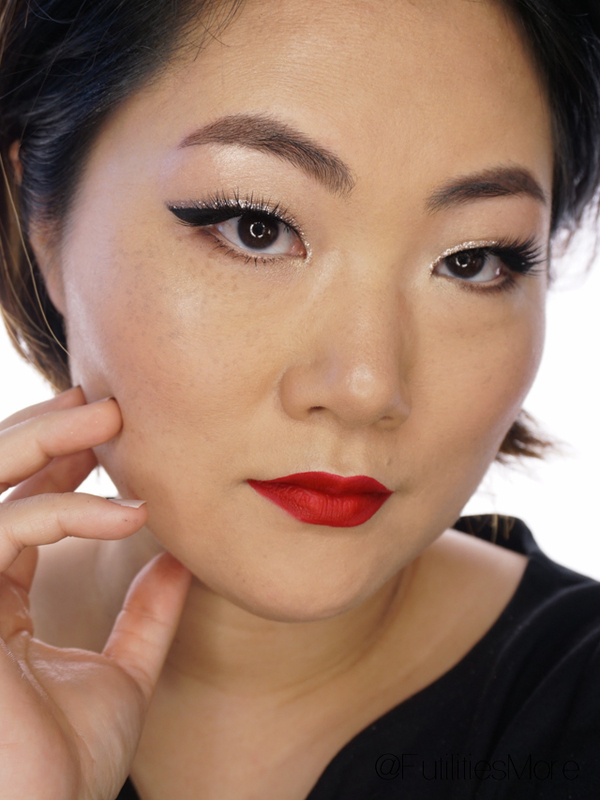 I hope you will enjoy this festive makeup for asian monolid eyes! When my eyes are closed... Holiday/party look is on my channel if you would like to know how to create this look! @anastasiabeverlyhills @norvina brows. Dipbrow pomade in Ebony. @urbandecaycosmetics Primer potion in Eden. 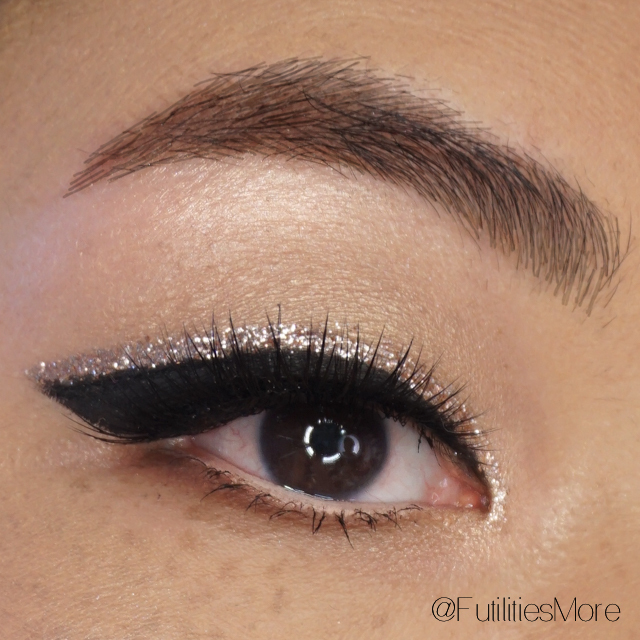 @makeupgeekcosmetics @makeupgeektv eyeshadows: Vanilla bean on all over the lid. Magic act on the lid. Purely naked to blend Magic act and create some depth. Latte and mocha on outer bottom lashes. Rapunzel and Magic act on the inner Conner for highlight. @tartecosmetics tartelette #tarteist clay liner. @covergirl super sizer mascara. @houseoflashes Boudoir. @tartecosmetics #emphasizeyes pencil. @hm glitter dust in Catherine wheel. 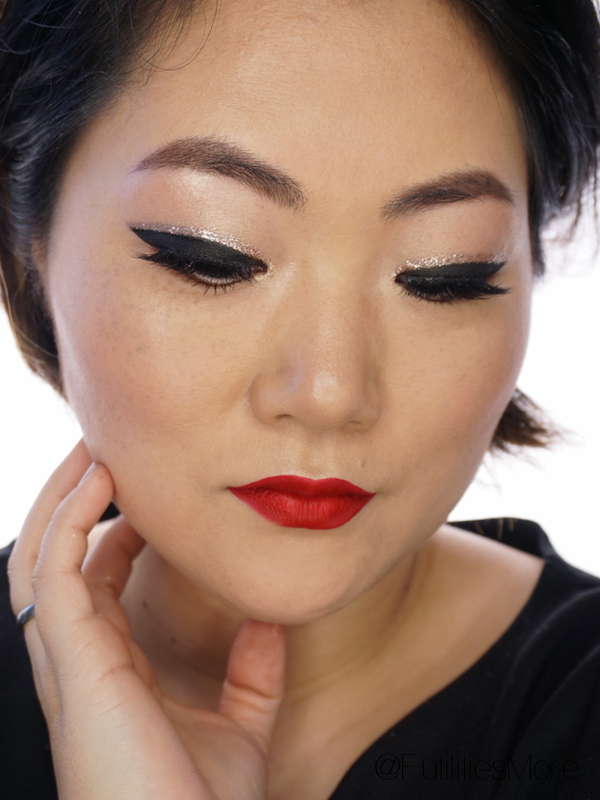 A little close up of the Holiday/party look. @anastasiabeverlyhills @norvina brows. Dipbrow pomade in Ebony. @urbandecaycosmetics Primer potion in Eden. @makeupgeekcosmetics @makeupgeektv eyeshadows: Vanilla bean on all over the lid. Magic act on the lid. Purely naked to blend Magic act and create some depth. Latte and mocha on outer bottom lashes. Rapunzel and Magic act on the inner Conner for highlight. @tartecosmetics tartelette #tarteist clay liner. @covergirl super sizer mascara. @houseoflashes Boudoir. @tartecosmetics #emphasizeyes pencil. @hm glitter dust in Catherine wheel. Good morning! Makeup details on this glitter look and red lips. Video tutorial is live by the way! Face: @esteelauder double wear foundation in Rattan. @katvondbeauty #shadeandlight contour palette. @anastasiabeverlyhills @norvina #abhilluminator in #sohollywood. @ctilburymakeup blush in Ecstasy. @maccosmetics fix+ and duo concealer in NC25. @hourglasscosmetics ambient lighting powder. Eyes: #anastasiabeverlyhills #Norvina brows. Dipbrow pomade in Ebony. @urbandecaycosmetics Primer potion in Eden. @makeupgeekcosmetics @makeupgeektv eyeshadows: Vanilla bean on all over the lid. Magic act on the lid. Purely naked to blend Magic act and create some depth. Latte and mocha on outer bottom lashes. Rapunzel and Magic act on the inner Conner for highlight. @tartecosmetics tartelette #tarteist clay liner. @covergirl super sizer mascara. @houseoflashes Boudoir. #tartecosmetics #emphasizeyes pencil. @hm glitter dust in Catherine wheel. Lips: @sinsationcosmetics lip polish in Be my Valentine. 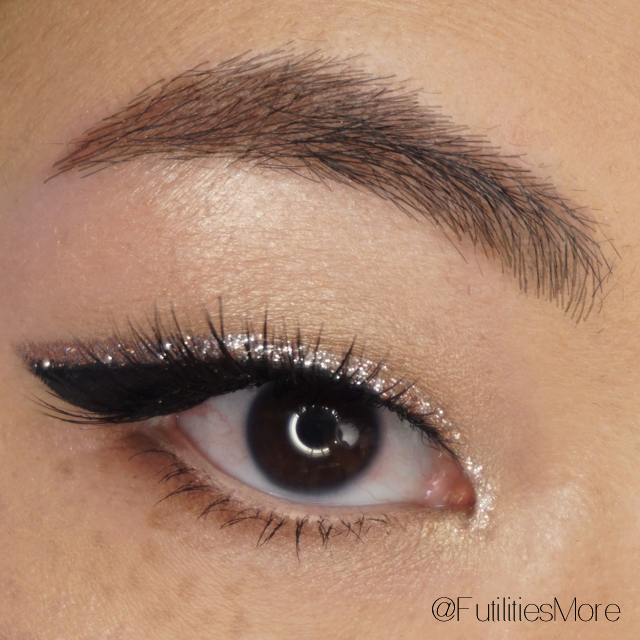 Makeup details on this glitter makeup: One of my favorite look so far! Face: @esteelauder double wear foundation in Rattan. @katvondbeauty #shadeandlight contour palette. @anastasiabeverlyhills @norvina #abhilluminator in #sohollywood. @ctilburymakeup blush in Ecstasy. @maccosmetics fix+ and duo concealer in NC25. @hourglasscosmetics ambient lighting powder. Eyes: #anastasiabeverlyhills #Norvina brows. Dipbrow pomade in Ebony. @urbandecaycosmetics Primer potion in Eden. @makeupgeekcosmetics @makeupgeektv eyeshadows: Vanilla bean on all over the lid. Magic act on the lid. Purely naked to blend Magic act and create some depth. Latte and mocha on outer bottom lashes. Rapunzel and Magic act on the inner Conner for highlight. @tartecosmetics tartelette #tarteist clay liner. @covergirl super sizer mascara. @houseoflashes Boudoir. #tartecosmetics #emphasizeyes pencil. @hm glitter dust in Catherine wheel. Lips: @sinsationcosmetics lip polish in Be my Valentine. My new makeup tutorial is here! Go watch it if you want to see this Holiday inspired party makeup look using some gold glitters and red lips! Details to come on my next post! Link is in my profile! A little bit obsessed by my @ctilburymakeup makeup right now! 4 days in a row with that same #makeup. For a makeup addict, that means a lot!!! Brow product is from @anastasiabeverlyhills @norvina #browpowderduo in Ebony. Seriously, it is so good! More natural than the dipbrow pomade that I use all the time. Eyes are #ctilburymakeup palette is #DolceVita . @covergirl mascara super sizer. Lipstick is #stonedrose by #ctilbury . Foundation is @esteelauder double wear. My all time favorite. This is a new bottle... @katvondbeauty @thekatvond #shadeandlight contour palette. Blush is #ecstasy by #ctilbury . A closer look of the makeup using @ctilburymakeup Dolce vita palette. I love the sparkly shade. It is stunning! It gives a nice pop and even if it's glittery, it is still wearable and chic. Makeup approved by my man! @anastasiabeverlyhills @Norvina dipbrow pomade in Ebony. #ctilburymakeup eyeshadow quad in #DolceVita. @covergirl mascara super sizer. Today's makeup of the day is all about @ctilburymakeup products! You know that I am in love with all the things I picked up this weekend!!! @narsissist all day luminous foundation. @katvondbeauty shade and light contour palette. #ctilbury blush is Ecstasy. @anastasiabeverlyhills @norvina starlight #abhilluminator . #anastasiabeverlyhills #Norvina dipbrow pomade in Ebony. #ctilburymakeup eyeshadow quad in #DolceVita. #ctilburylipstick in Stoned rose. 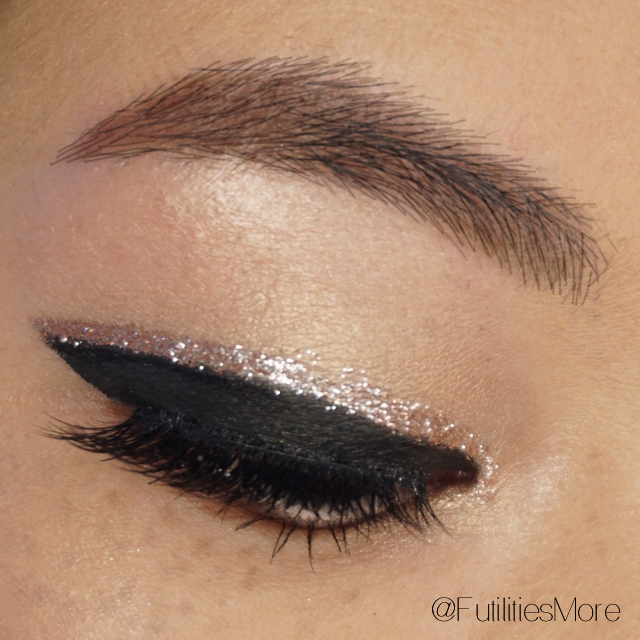 @maccosmetics Mineralize skinfinish in light +. @covergirl mascara super sizer.